Welcome to Magnum Driver Training. 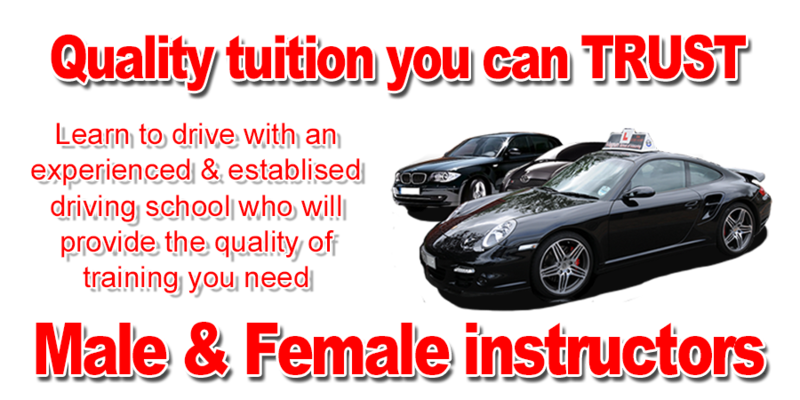 We are based in and around Edinburgh and offer a wide range of Learner, Advanced and Fleet driving courses in Edinburgh, Midlothian, East Lothian, Central Scotland and the Scottish Borders. Magnum Driver Training was founded by two former Traffic Police officers and the aim of Dave Irvine and John Hunter is to teach and promote safer driver training. Another retired officer Jim Brunton has joined the company and will be heading up the learner side of the business. Between them Dave, John and Jim have more than 50 years traffic driving experience. They are Scottish Police College Advanced Driving Certificates holders, members of the Institute of Advanced Motorists, fully qualified DSA Approved Driving Instructors and Pass Plus registered instructors. Dave and John are examiners and fleet trainers with the IAM (Formally the Institute of Advanced Motorists, now IAM RoadSmart). They also both hold the RoSPA Gold Diploma in Advanced Instruction and are examiners for RoSPA. Dave also holds an IAM RoadSmart Masters Certificate in Advanced Driving with distinction and an Institute of the Motor Industry Examiners qualification. As the company has established an excellent reputation we are able to offer wide range of driver training courses at a variety of levels. We also have an associate who is currently managing a project of PCV training in Bahrain. Our other Instructors are involved in other coaching projects around the UK. All our Instructors have a unique insight into driver behaviour and use adaptive instructional techniques to ensure each pupil/candidate receives the very best of training for their circumstances. This ensures that pupils are able to sit their respective level of driving test with a greater chance of success. Our company can provide Instructor training for Parts 1-3 and refresher courses for Instrutor Standard tests. If you are independent and need assistance give us a call. Trailer Training, Fuelsave driver training, Speed awareness training, Winter driver training, Winter driver training -designated 4x4 driver, Post incident remedial interventions training, Off-road 4x4 driver training, Vehicle and U.K. Road familiarisation course. Other specific courses can be tailored to suit as customers requirements. Our cars are Sponsored by the Eastern-Western Group. In regard to fleet driver training our Current Customers include Euro Forrest, The Forrestry Commission and Standard Life Aberdeen to name but a few. We also do work for several other large companies from car to HGV management. For further information please take time to explore the site. If you have any questions please feel free to get in touch. If you want quality lessons you are on the right site or as my grandfather used to say "you only get what you pay for"